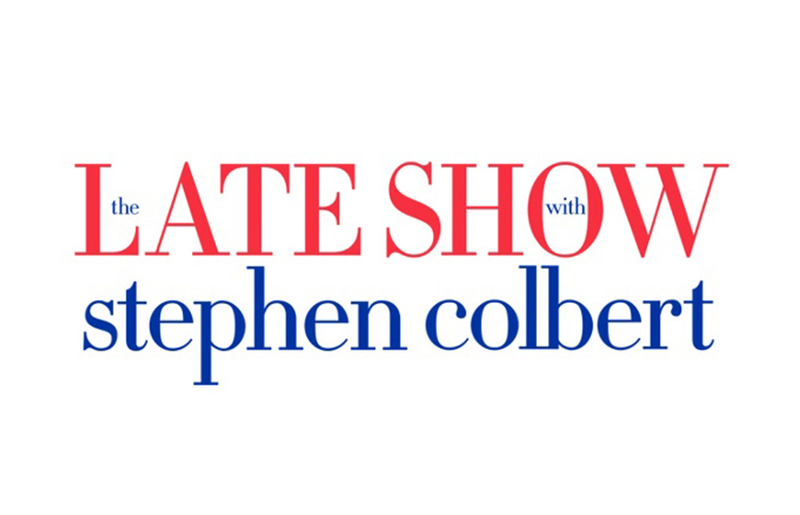 Stephen Colbert is a master of entertainment. 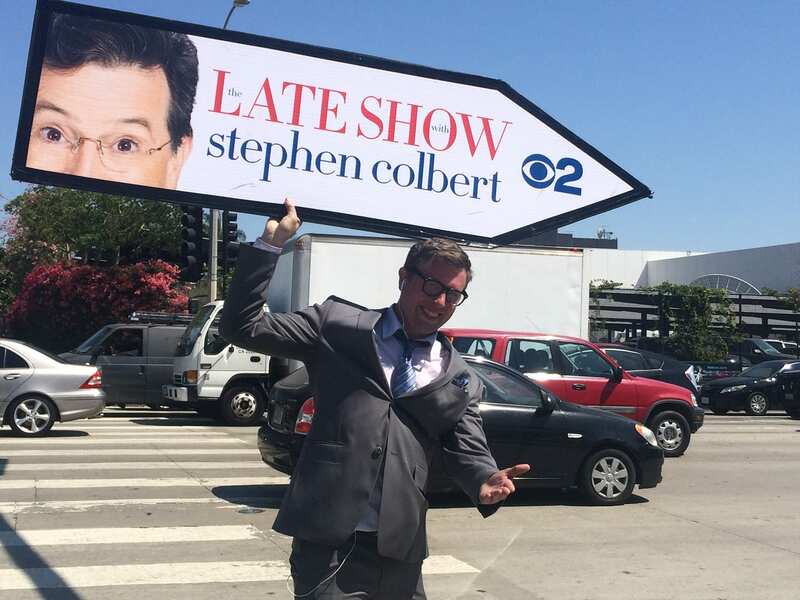 Hosting The Late Night Show is a huge accomplishment, and CBS asked for our World Famous AArrow Sign Spinners to suit up for this historic debut. That’s why CBS turned to AArrow to execute the perfect campaign. 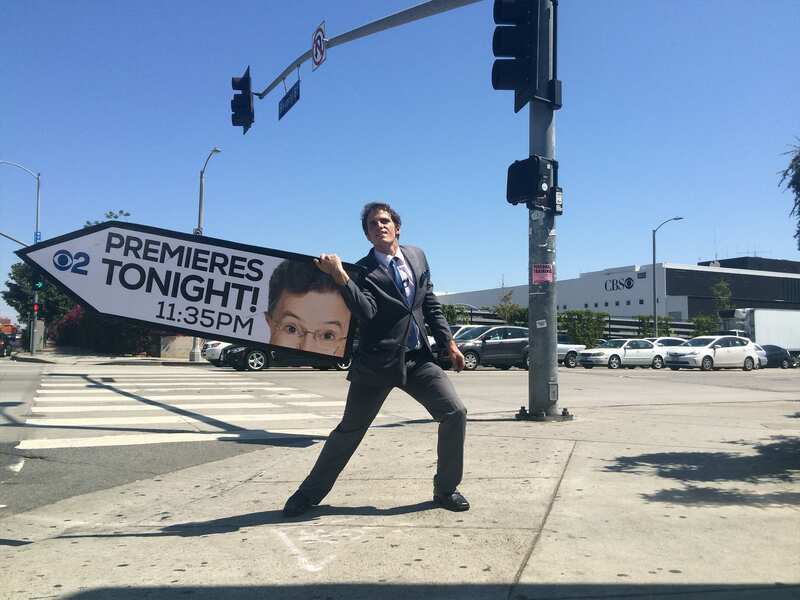 20 of best AArrow Sign Spinners in California transformed into 20 Stephen Colbert look-alikes and turned heads all over Los Angeles. 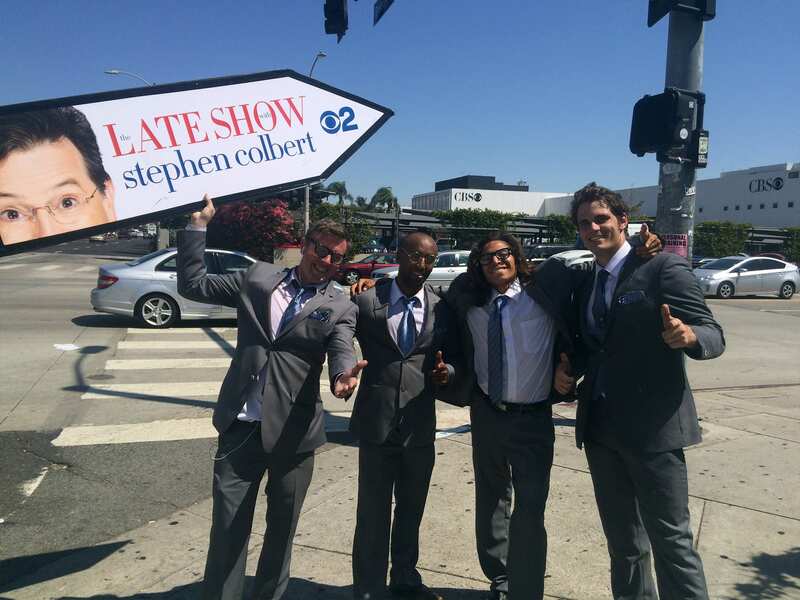 In one day, over 750.000 people saw the Colbert look-alikes, taking pictures and sharing them online. That night 6.6 million viewers turnd in for the debut, and CBS .com had its highest premier day traffic.